Steve Santucci has been fishing the California Delta and San Luis Reservoir steadily over the past 20 years. He has caught many trophy size stripers over the past 2 decades including two line class world records on the fly. Experienced in fish holding locations, moon phase, tides, and water conditions, he maximizes your chances for a great striper experience. 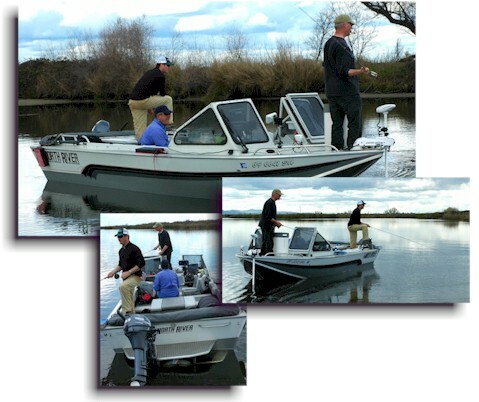 Steve is now guiding on the Sacramento River in the Colusa area during the spring and early summer. Steve fishes out of a 20’ North River. The boat is wide and stable and has a walk-through windshield. 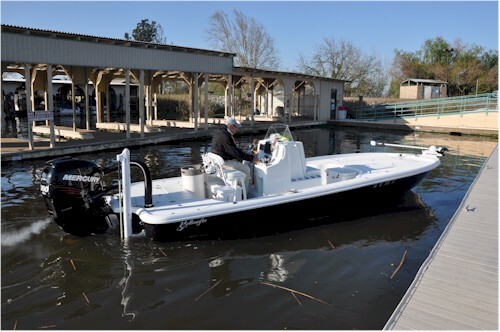 Equipped with plenty of horsepower to get to fishing spots quickly and comfortably, it also has GPS mapping, sonar, Hummingbird side-scanning, and a Minn Kota auto pilot electronic trolling motor. The North River has a Yamaha 9.9 auxiliary motor and a full top for the wet days. You can also enjoy a heater on cold, winter days. Steve is fully licensed with the US Coast Guard and Department of Fish and Game, certified by the Red Cross for CPR and First Aid. This entry was posted in California Bay/Delta, California Sacramento Valley, Fly Fishing Guides. Bookmark the permalink.